Jenifer Stuber - Division Manager from the Western Oregon team. 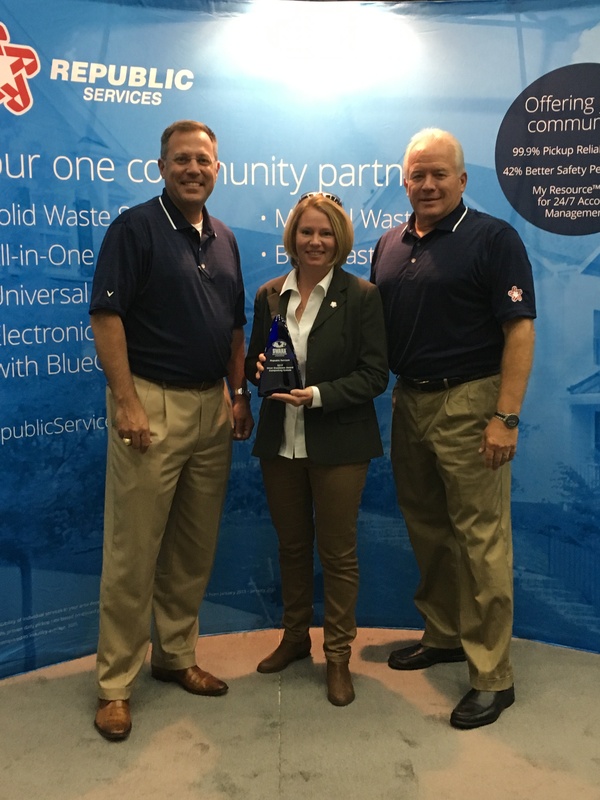 (L to R) Richard Coupland- VP of Municipal Sales, Jenifer Stuber-Division Manager, and Dan Jameson- VP of Government Affairs. Dan Jameson - VP of Government Affairs. 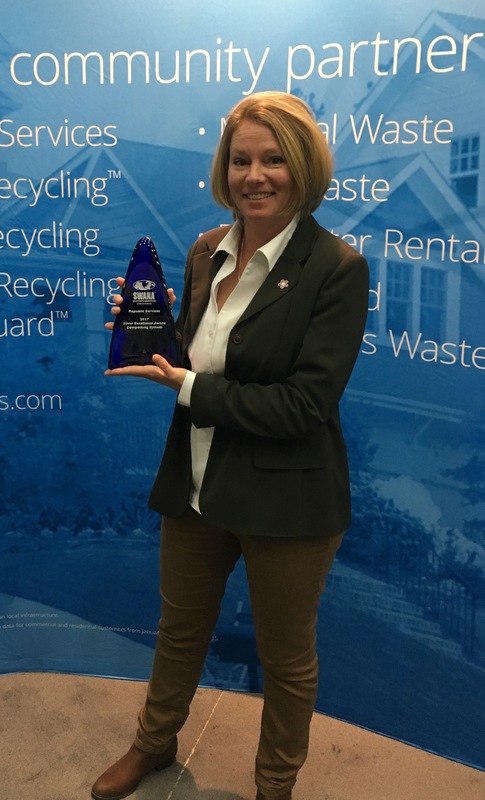 CORVALLIS, Ore., September 26, 2017 /3BL Media/ – Republic Services of Oregon is pleased to announce that the Solid Waste Association of North America (SWANA) has named Republic’s Pacific Region Compost Facility (PRC) the winner of the Silver Excellence Award in the Composting Systems category. 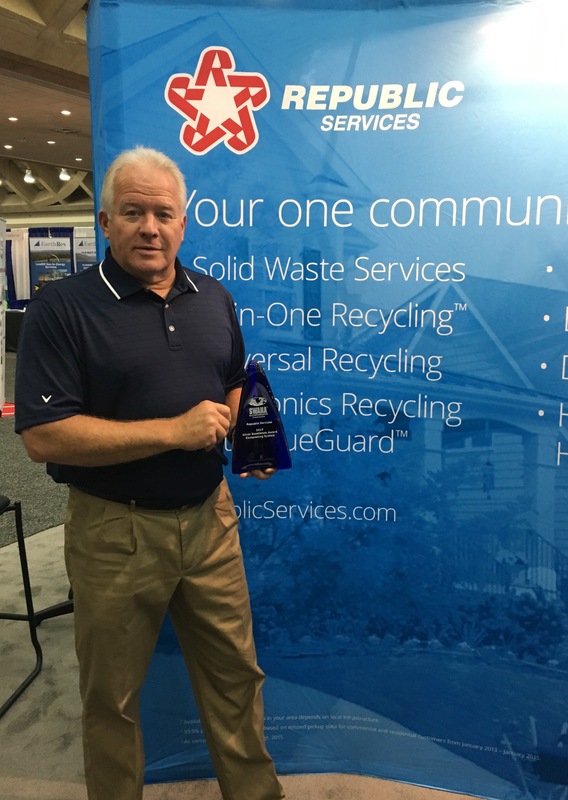 The award was presented at SWANA’s annual conference, WASTECON®, today in Baltimore. As one of the largest composting facilities in Oregon, the PRC processes more than 120,000 tons of residential yard waste, residential organics and commercial food waste each year, producing a nutrient rich compost used for area agricultural, landscaping and gardening purposes. In 2010, the PRC became the first Oregon compost facility to be approved for special types of organics composting (known as Type 3), including proteins, dairy and all food scraps. 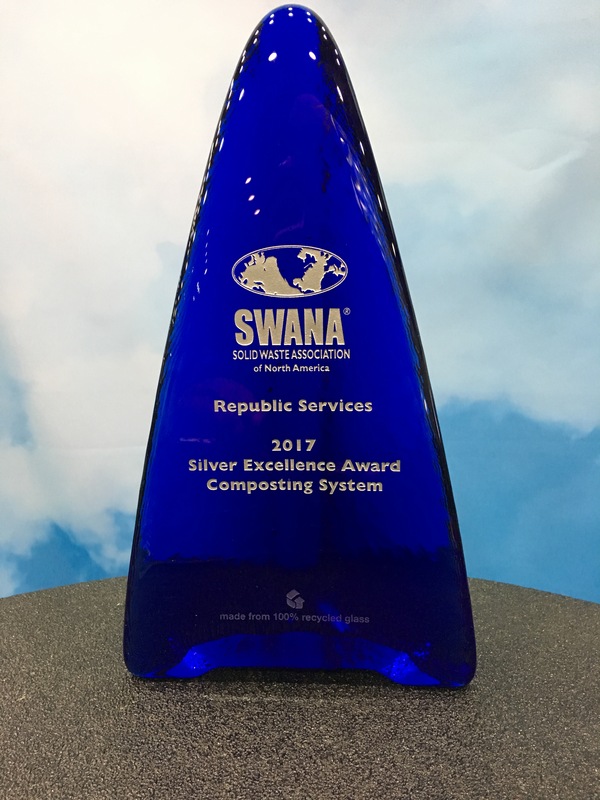 SWANA’s Excellence Awards Program recognizes outstanding solid waste programs and facilities that advance the practice of environmentally and economically sound solid waste management through their commitment to utilizing effective technologies and processes in system design and operations, advancing worker and community health and safety, and implementing successful public education and outreach programs. Programs must also demonstrate that they are fiscally and environmentally responsible through their compliance with all applicable federal, state and local regulations.